We have been developing laser drivers for the last 21 years and launched over 100 different types of laser drivers onto the market to date. The main advantages of our laser drivers are Their small size, low noise, high efficiency, and low cost. Compared to our rivals laser drivers, we succeed in having the lowest noise, such as the ATLS1A104D; the highest power density with the ATLS12A216D, which has the output current 10A and maximum output voltage 12V. 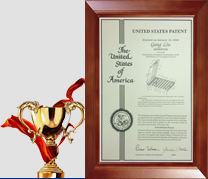 It measures just 29×20×6 (mm), while the competition’s is 20× larger and harder to integrate into designs. We have DC input, AC input, high current, high speed and many other different types of laser drivers making us the leader with the most complete laser driver product line on the market today. The table below shows a list of our laser drivers and controllers. Use our laser driver/controller selection guide below. 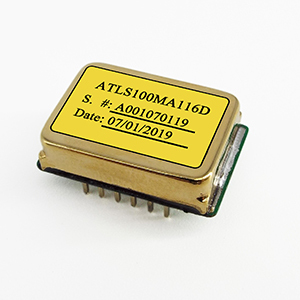 The output current of the ATLS100MA116 can be set by an input voltage linearly or modulated by an external large signal of up to 1MHz in bandwidth, resulting in a minimum 170nS rise and fall time (Large signal) at the output current. A highly stable low noise 2.5V reference voltage is provided internally for setting the output current. This reference can also be used as the voltage reference for external ADCs (Analog to Digital Converters) and/or DACs (Digital to Analog Converters) which are utilized for converting the analog signals. The ALDD28V15A401 uses a constant frequency high efficiency PWM output stage. The laser driver has 3 states: Operation, Standby and Shutdown. Under Standby mode, all the laser driver components works except the output stage, see Figure 4. Under Shutdown mode, all the components of the laser driver stops working and the power supply current is reduced to < 3µA. 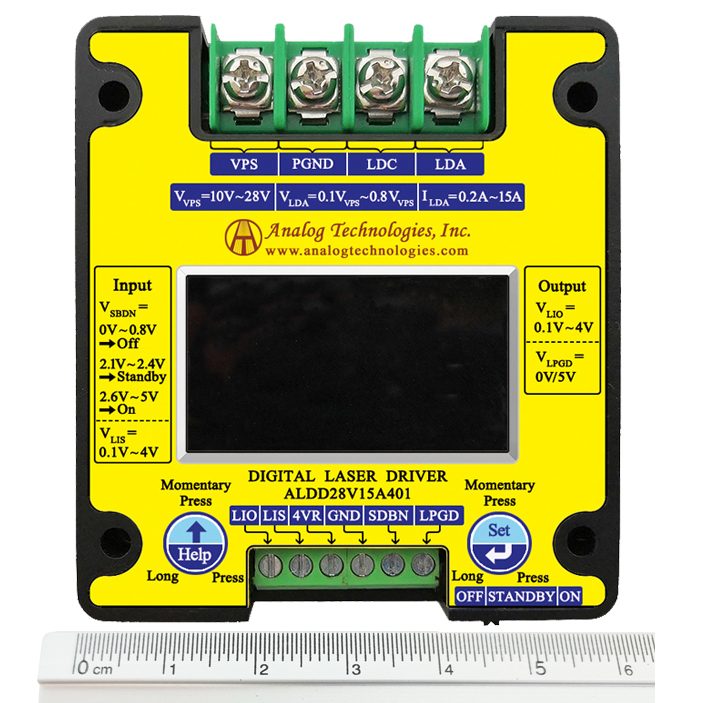 This laser driver generates a high accuracy high stability low noise, 5µVP-P, < 1µVRMS, < 8ppm/°C, 4.096V<±2mV, voltage reference output which can be used for setting the output current and also be used as the reference voltage for the ADCs (Analog to Digital Converters)and/or DACs (Digital to Analog Converters). 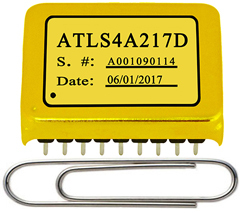 In order to meet the need for driving high voltage diode lasers or driving a serial of diode lasers simultaneously, we have developed ATLSxA212 series laser drivers/controllers: ATLS500MA212, ATLS1A212, ATLS2A212, and ATLS3A212. Their input voltage can be between 4.5V to 15V, the output voltage can be from 1V to (VPS -1V), where VPS is the power supply input voltage. The maximum output voltage can reach 14V when powered by a 15V supply. They have 4 current capability versions, 500mA, 1A, 2A and 3A, and are packed in 2 styles: DIP (Dual In Line) through hole package and SMT (Surface Mount Technology) package. The former has the part number with a suffix "D", for the latter the suffix is "S". For example: ATLS2A212D or ATLS2A212S. The main features are: high efficiency, high output power, small size, high current stability, low output noise, and wide modulation bandwidth. These controllers can be evaluated conveniently by using their evaluation board, ATLS212EV1.0. Since these series laser drivers can output high power and the high power lasers are often costly. In order to avoid making costly mistakes when evaluating this series of laser controllers, we have also developed a load assembly that can be used to emulate the expensive laser diodes for evaluating the laser controllers. 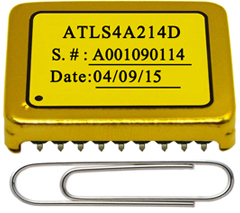 To better meet the requirements for driving a series of laser diodes with high voltage and constant current, ATLSXA214 series laser drivers/controllers are developed: ATLS4A214 and ATLS6A214. The wide output voltage range allows driving one or more multiple serial laser diodes at the same time, for up to 4A, 6A well controlled current at high efficiency. High voltage and constant current ATLSXA216 series laser drivers/controllers are developed: ATLS12A216, ATLS10A216 and ATLS8A216. The wide output voltage range allows driving one or more multiple serial laser diodes at the same time, for up to, 8A, 10A well controlled current at high efficiency. 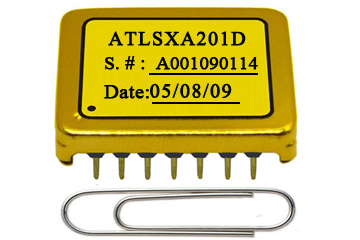 This laser driver, ATLSxA217, is an electronic module that has all the valuable and important, but often difficult to achieve simultaneously, features simultaneously: wide input and output voltage range, high output current capability, high efficiency, low output noise (but it has an output 4mVp-p ripple voltage at 700kHz), wide modulation bandwidth, and small size. The wide output voltage range, 2.8V ~ 22V, allows driving one or multiple serial laser diodes at the same time. 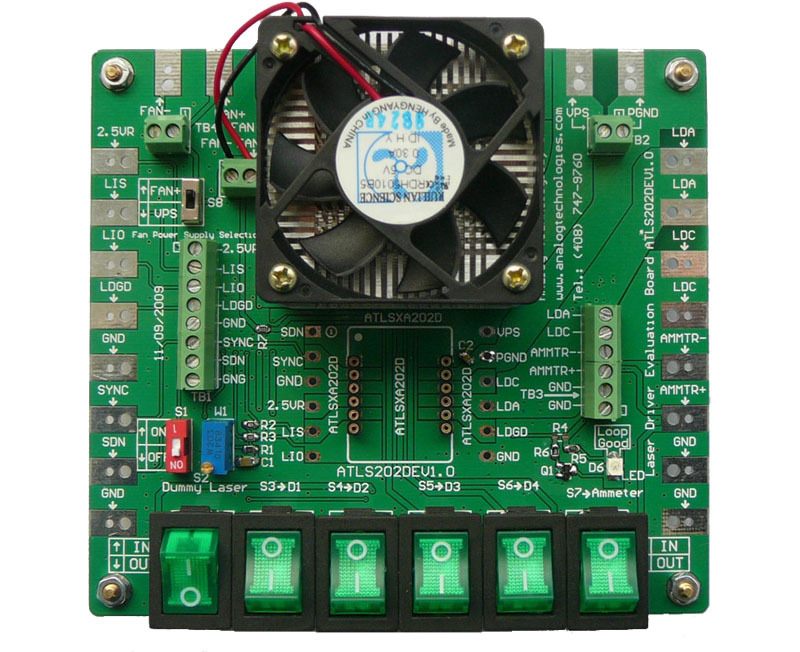 Note: this series of laser drivers can be evaluated by the evaluation board ATLS216EV1.0. 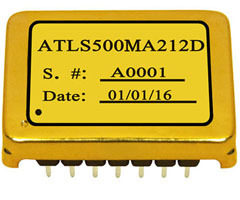 This laser driver, ATLS15A218, is an electronic module that has all the valuable and important, but often difficult to achieve simultaneously, features: wide input and output voltage range, high output current capability, high efficiency, low output noise (but it has an output 4mVp-p ripple voltage at 500kHz), wide modulation bandwidth, and small size. The wide output voltage range, 0.1VPS ~ 0.8VPS, allows driving one or multiple serial laser diodes at the same time, for up to 15A well controlled current at high efficiency. The extremely low noise between DC ~ 10Hz and low DC current drift make it ideal for driving diode pumped laser diodes. Load assembly is designed to emulate laser diodes for evaluating laser drivers. These laser drivers can be used to drive one or multiple laser diodes with high efficiency and low noise for DPSSL, EDFA, or fiber laser applications. They accept wide range input voltage and their output voltage can be from 0V to almost the same as the input voltage. The size is very small, but can output high current, high voltage, thus high output power. In addition, these laser drivers have low output noise (except that there is a 500kHz 4mVp-p ripple voltage at the output) and wide modulation bandwidth. This laser load assembly can be used with this evaluation board, or be used alone, as a dummy laser load, to emulate one or multiple laser diodes. This series laser driver/controller is designed for driving diode lasers with low noise current at high efficiency, > 76%. The output current of laser drivers/controllers can be set either by an analog voltage ranges from 0 to 2.5V or by a potentiometer to from 0 to 20A, 30A, 40, 45A. 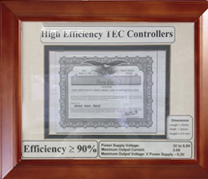 All our laser driver/controllers are of 100 % lead (Pb)-free and RoHS compliant. More detail technical and application information about this laser driver/controller can be found in the datasheets below. 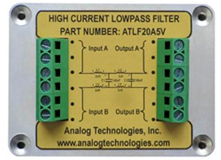 The ATLF20A5V is designed for filtering the ripples of laser driver, the output of which will not be influenced by the filter. The input voltage ranges from 0V to 5V, and the current is from 0A to 20A. It can filter the ripples 10KHz ~ 1MHz of the power supply. It is able to attenuation 70dB, eliminating the negative influences against the output of the laser driver by the power supply. 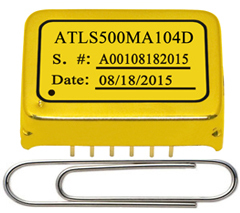 The ATLSxA106 series laser driver is designed for driving diode lasers with up to 250mA and 500mA extra low noise current. 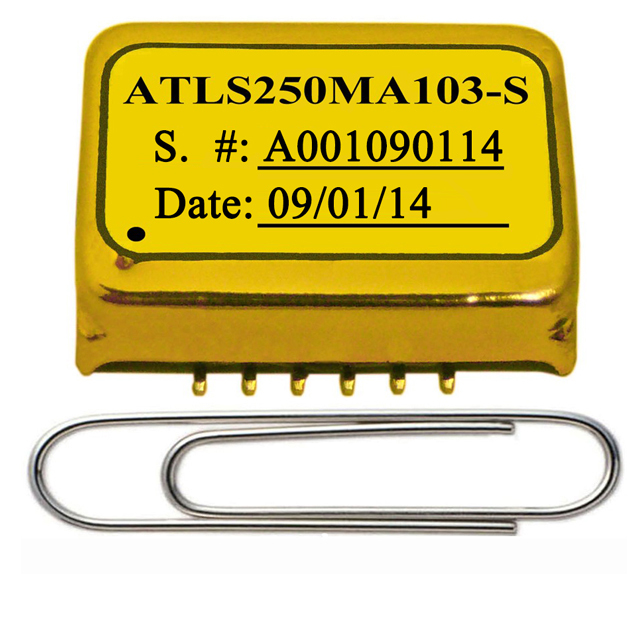 The output current of the ATLS250MA106 can be set by an input voltage linearly or modulated by an external signal of up to 100 KHz in bandwidth, resulting in a minimum 1.5μS rise and fall times at the output current. The ATLSxA103 series laser drivers/controllers have ultra low output noise, compact size, and come with current limit protection function. The maximum output current of this diode laser driver can be selected to be: 100mA, 200mA, 250mA, 500mA, and 1A, with the output RMS noise to be: 1.5uA, 2.5uA, 2.5uA, 5uA and 6uA respectively. These laser controllers are of 100 % lead (Pb)-free and RoHS compliant. The ATLSxA104 series laser drivers/controllers have ultra low output noise, compact size, and come with current limit protection function. In case the controller temperature exceeds a preset limit, 120°C, the controller will be shutdown by itself to prevent the controller from being damaged by the over heat. Evaluation Board for ATLSxA103 Series Diode Laser Drivers/Controllers is designed to evaluate the functions and basic specifications for our extra low noise laser drivers, ATLS1A103D, ATLS100MA103D, ATLS200MA103D, ATLS250MA103D and ATLS500MA103D; ATLS100MA104D, ATLS250MA104D, ATLS500MA104D and ATLS1A104D; ATLS250MA106D and ATLS500MA106D. It comes with a socket that fits for the drivers in the DIP package, i.e., that the ones with the “D” suffix. The evaluation board has a dummy laser formed by a series of regular laser diodes and can be used to emulate how the real laser diode would be driven by the laser driver. The output current and the output current limit can be programmed respectively by the potentiometers mounted on the board. 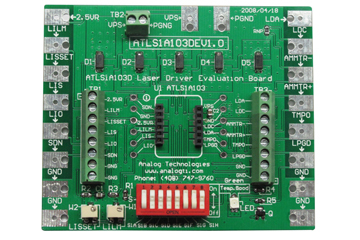 This laser driver evaluation board is of 100 % lead (Pb)-free and RoHS compliant. 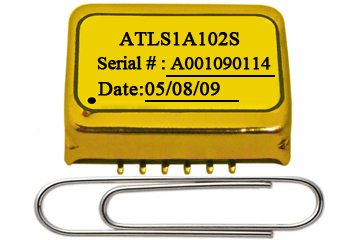 The ATLS1A102 is a diode laser driver designed for driving diode lasers with up to 1A low noise current. When powered by a 5V power supply, the output voltage is 1.5V to 4V. This diode laser driver is of 100 % lead (Pb)-free and RoHS compliant. 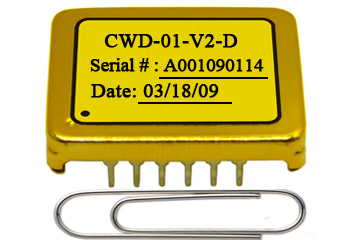 The CWD-01-V2-D is designed for driving diode lasers with high efficiency, >90%, and low noise. This diode laser driver can be applied for DPSSL, EDFA, fiber laser, direct diode lasers, etc. It can output up to 2A current without needing a heat sink and is in DIP package. This laser controller is of 100 % lead (Pb)-free and RoHS compliant. 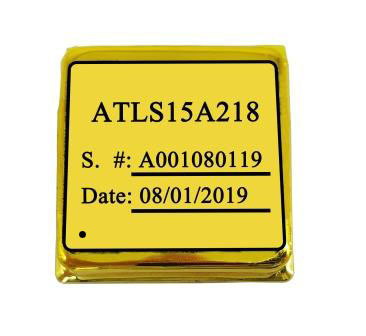 The ATLSxA201D series diode laser drivers are the upgraded drop-in replacements for our CWD-01-V2 laser drivers, except that the starting up time is shorter: 4mS as opposed to 100mS in CWD-01-V2. These diode laser drivers are designed for driving laser diodes with low noise constant current at high efficiency. The "XA" in the part number specifies the maximum output current of the modules, which can be: 500mA, 1A, 2A, 3A, 4A and 6A respectively and the maximum output voltage is up to 2.7V when powered by a 3.3V power supply and 4.2V by a 5V power supply. The module is packed by a 6 sided metal enclosure, emitting zero EMI, and has a DIP mounting package.They are of 100 % lead (Pb)-free and RoHS compliant. The evaluation board, ATLS201DEV1.0, is designed to evaluate the ATLSXA201D series diode laser drivers: ATLS500MA201D, ATLS1A201D, ATLS2A201D, ATLS3A201D, ATLS4A201D and ATLS6A201D. The main purpose for using this is to evaluate the laser controllers conveniently. It can set the output current, and comes with an unbreakable dummy laser diode which is formed by a a series of regular diodes. 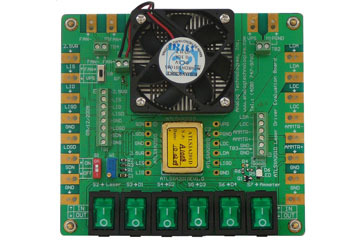 This laser controller evaluation board has a complete application circuit, an LED to indicate the working status of the laser driver, and a fan for dissipating the heat when evaluating a 6A laser driver. This laser controller evaluation board is of 100 % lead (Pb)-free and RoHS compliant. 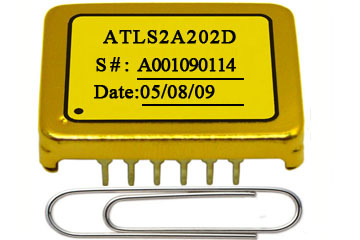 The ATLSxA202D series laser drivers have slightly different pin out as that of ATLSxA201D series laser drivers. This series of laser drivers have a synchronization function pin which allows using an external digital signal to synchronize the internal switching frequency of the PWM output stage. This function is useful when using the laser drivers with a switching power supply that has similar switching frequency or having multiple such laser drivers on the same PCB, to eliminate the beating frequency interference. They are designed for driving laser diodes with low noise constant current at high efficiency. The "xA" in the part number specifies the maximum output current of the laser controller, it can be chosen to be: 500mA, 1A, 2A, 3A, 4A or 6A. 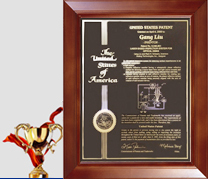 The module is packaged in a metal enclosure, emitting zero EMI, and has DIP mounting package. These laser drivers are of 100 % lead (Pb)-free and RoHS compliant. The evaluation board, ATLS202DEV1.0, is designed for evaluating the series laser drivers: ATLS500MA202D, ATLS1A202D, ATLS2A202D, ATLS3A202D and ATLS4A202D. The main purpose for using this evluation board is to evaluate the laser drivers conveniently. 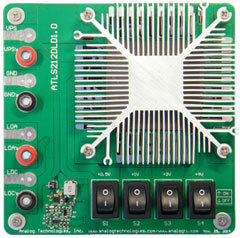 This laser driver evaluation board comes with an unbreakable dummy laser diode formed by a series of regular diodes. It is has a complete application circuit, has an LED to indicate the woring status of the driver, and a fan for reducing the temperature dummy laser diode when being driven by high current. This laser controller evaluation board is of 100 % lead (Pb)-free and RoHS compliant. The AAS5V70A2 is an electronic power supply block designed for driving laser diodes with up to 70A low noise current at high efficiency of up to 89%. The output current can be set by an analog voltage of 0 to 2.5V, or a potentiometer, to between 0 and 70A. 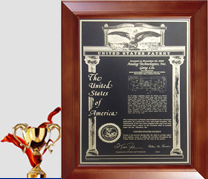 It is of 100 % lead (Pb)-free and RoHS compliant. 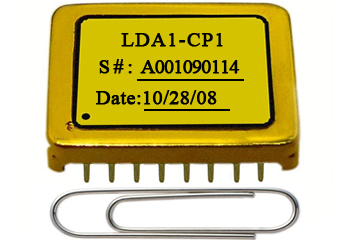 The LDA1-CP1 is an electronic module designed for driving P type (PD anode and LD cathode are connected to the laser diode can) diode lasers with well controlled and monitored driving current and output laser power. This laser driver has a PWM (Pulse Width Modulation) output stage, and achieves >90% high power efficiency, eliminating the need for a heat sink. The output current and laser power can be set linearly by two separate input voltages and monitored linearly at the same time by two output voltages respectively. This laser controller comes with a high stability low noise 2.5V reference voltage which can be used to set the output current and the output power, and as voltage references for external ADCs and DACs.This laser driver is of 100 % lead (Pb)-free and RoHS compliant. The LDA1-CP2 is an electronic module designed for driving N type (PD cathode and LD anode are connected to the laser diode can) diode lasers with well controlled and monitored driving current and output laser power. This laser driver has a PWM (Pulse Width Modulation) output stage, and achieves >90% high power efficiency, eliminating the need for a heat sink. The output current and laser power can be set linearly by two separate input voltages and monitored linearly at the same time by two output voltages respectively. This laser controller comes with a high stability low noise 2.5V reference voltage which can be used to set the output current and as voltage references for external ADCs and DACs. 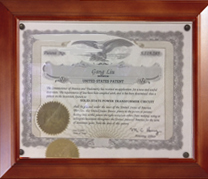 It is of 100 % lead (Pb)-free and RoHS compliant. 1. Q: How to achieve highest digital modulation speed on a laser controller's output current? A: For laser drivers ATLSxA201 and ATLSxA202, LIS pin should be toggled between these 2 voltages: a high value corresponding to the operation current and a low value corresponding to half of the threshold current of the laser the driver is driving. 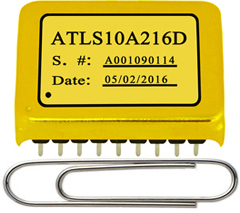 For laser drivers: ATLSxA212, ATLSxA214, ATLSxA216, ATLSxA217 and ATLSxA218, set a high voltage value on the LISH pin corresponding to the laser operating current; set a low voltage value on the LISL pin corresponding to half of the threshold current of the laser the driver is driving. Then use a digital signal to drive the PCN pin.